As one of America's favorite families, The Hecks, prepares to say goodbye tonight (May 22), Freeform celebrates the ABC comedy series The Middle with a mini-marathon of the casts' favorite episodes. Freeform's The Middle mini-marathon will air today (Tuesday, May 22) from 1:00 - 6:00 p.m. EDT/PDT, to get fans ready for the one-hour series finale airing later tonight from 8:30-9:30 p.m. EDT/PDT on ABC. For those who don't want to say farewell, fans of the show can relive The Hecks' hilarious ups and downs weekdays Mon-Fri on Freeform. Two-time Emmy(R) winner Patricia Heaton stars in this warm and witty single-camera comedy about raising a family and lowering your expectations. Middle-aged, middle class and living in the middle of the country in Orson, Indiana, Frankie Heck is a harried wife and mother of three who uses her wry wit and sense of humor to get her family through each day intact. Frankie works as a dental assistant, and her unflappable husband, Mike, is a manager at the local quarry and her sardonic partner in the daily grind that is raising their average - yes, most definitely average - family. The Middle stars Patricia Heaton as Frankie, Neil Flynn as Mike, Charlie McDermott as Axl, Eden Sher as Sue and Atticus Shaffer as Brick. 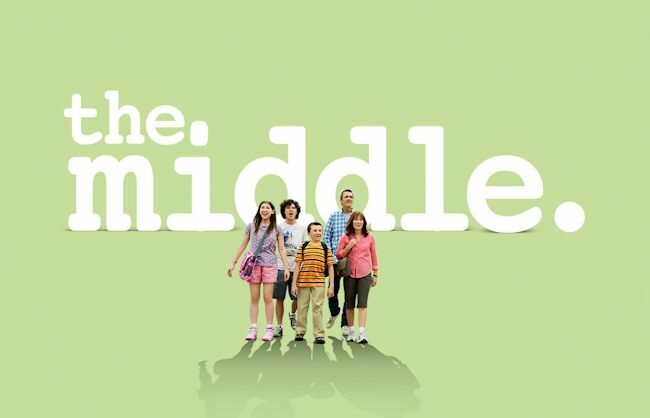 The Middle was created and is executive produced by Eileen Heisler and DeAnn Heline. The series is from Warner Bros. Television. For the honor of Grayskull! DreamWorks Animation Television has revealed the cast of the upcoming Netflix original series DreamWorks She-Ra and the Princesses of Power, set to be released globally in 2018. Aimee Carrero (Young & Hungry, Elena of Avalor) stars as Adora/She-Ra; Karen Fukuhara (Suicide Squad) as Glimmer; AJ Michalka (The Goldbergs, Steven Universe) as Catra, Marcus Scribner (black-ish) as Bow; Reshma Shetty (Royal Pains) as Angella; Lorraine Toussaint (Orange is the New Black) as Shadow Weaver; Keston John (The Good Place) as Hordak; Lauren Ash (Superstore) as Scorpia; Christine Woods (Hello Ladies) as Entrapta; Genesis Rodriguez (Time After Time) as Perfuma; Jordan Fisher (Grease Live!) as Seahawk; Vella Lovell (Crazy Ex-Girlfriend) as Mermista; Merit Leighton (Alexa & Katie) as Frosta; Sandra Oh (Killing Eve, Grey's Anatomy) as Castaspella; and Krystal Joy Brown (Motown: The Musical) as Netossa. 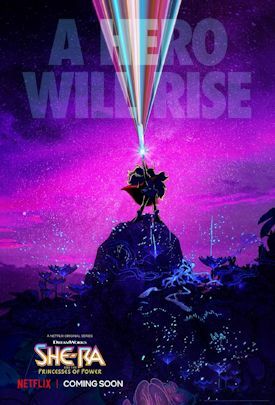 She-Ra and the Princesses of Power is the story of an orphan named Adora (Carrero), who leaves behind her former life in the evil Horde when she discovers a magic sword that transforms her into the mythical warrior princess She-Ra. Along the way, she finds a new family in the Rebellion as she unites a group of magical princesses in the ultimate fight against evil. From Eisner Award-winning author and executive producer Noelle Stevenson (Lumberjanes, Nimona) and executive producer Chuck Austen (Dawn of the Croods, Steven Universe) comes a modern take on the '80s girl power icon for a new generation of young fans.